Mentioned in the latest Linux patches, AMD XGMI interconnect is rumored to offer bandwidths of up to 64 GB/s on the current PCIe 3.0 standard, possibly even higher on the upcoming PCIe 4.0. This should compete with Nvidia's NVLink, which currently offers bandwidths of up to 200 GB/s on PCIe 3.0 and could exceed 300 GB/s next year with the jump to the PCIe 4.0 standard. 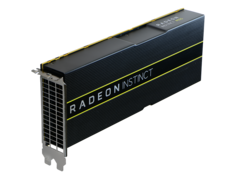 The Vega 20 GPUs from AMD that should launch in late 2018 are rumored to get a faster GPU-to-GPU interconnect similar to Nvidia’s NVLink introduced with last year’s Volta GPUs and also featured in the latest Turing professional and gaming cards. Phoronix has spotted a piece of code in the recently released Linux patch, which mentions the XGMI (inter-chip global memory interconnect) interface. Support for this new AMD interface should be released with the Linux 4.20-5.0 Kernel later this year. 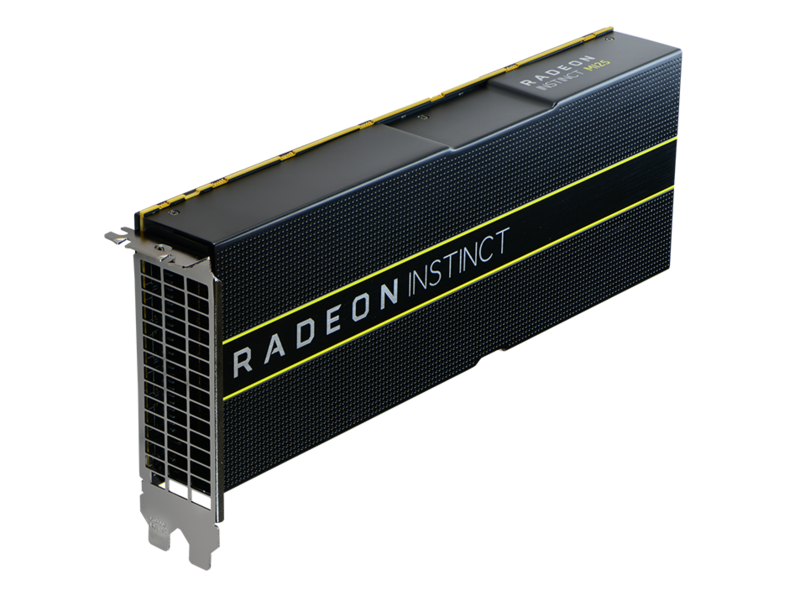 AMD has not released any specs on the XGMI interface, but a leak from late June revealed that the Vega 20 cards from AMD (also known as Radeon Instinct) will be designed for PCIe 4.0 first and foremost, but are backwards compatible with the PCIe 3.0 standard as well. Based on the PCIe 3.0 specs, the XGMI interconnect is said to offer double the current 8 GT/s bandwidth. This would translate to a 64 GB/s total bandwidth and will be heavily utilized for hardware-based virtualization, as well as deep learning instructions. On Nvidia’s side, the NVLink interconnect is already at its second iteration and offers up to 200 GB/s bandwidth for the fastest professional Quadro cards on the market, so it seems that AMD’s XGMI would already be outperformed on arrival. Nvidia is already planning to release a third version of NVLink for the HPC market next year, with bandwidths in excess of 300 GB/s, leaving AMD even further behind. By the looks of it, the red team will have a hard time keeping up with Nvidia on the HPC and gaming markets in the next couple of years.